When you attend a Yoga Travel Tree Yoga Adventure, you're not just going to go on another touristy, dull, and ho-hum vacation. You're going to have the experience of a lifetime. We take pride in the fact that our retreats are unique, eventful opportunities for travelers to explore the world, see and do things they would never be able to do if traveling on their own. Here are 5 things you'll do with us in Bali that you won't see on any other yoga retreat, we downright promise. 1. We Actually Travel We're called Yoga Travel Tree for a reason people! Who wants to go half way around the world and only see a few rooms in a resort? Not us, and not the adventure-seekers we bring along. During our Bali Yoga Adventure we'll travel and stay in five (yep, FIVE) different cities and towns around the Island, giving you the deepest experience possible. 2. Kintamani and a Volcano Hike On day four of our trip, we'll take you to the lush village of Kintamani, where you can soak in hot springs, check out the tiny village, view the Gunung Batur region of the island, and hike to the top of an active volcano: Mount Batur. 3. Take a Balinese Cooking Class in Ubud Not only do we visit the yoga capital of the island, but you get the unique experience of learning the in's and out's of Balinese cuisine from a local chef AND a guided tour of a local marketplace. 4. Seva (Volunteer) Opportunities We believe in giving back to the communities that provide us with rich, cultural experiences and Bali is no exception. While in Ubud, we'll volunteer with Yayasan Widya Guna, an educational center for underprivileged children. 5. A Community of Friends We keep our Yoga Retreats small. With a maximum of 15 yogis, you're sure to get all of the instruction you need during yoga classes, and all of the attention you should get during the rest of the trip. This small group size allows you to form strong, lasting bonds with your fellow travelers so you depart for home with lifelong friends. 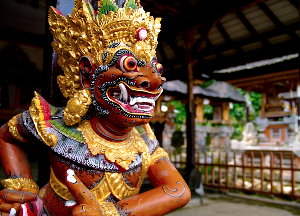 Our next 10-Day Bali Yoga Adventure Retreat will be taking place May 2-12, 2015. 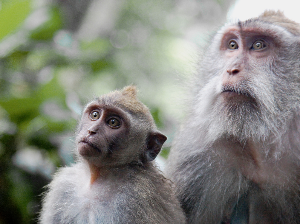 So, you have decided that you want to go to a yoga retreat in Bali. Awesome! Now all you have to do it sort through the thousands of options! The Yoga Travel Tree is a great place to start but now you have narrow them down. How do you choose the best Bali yoga retreat? What should you look for? Are all retreats created equal? How are they different? You have asked the questions, I have your answers! Figure out what type of yoga you wish your retreat to be in. Vinyasa, Kundalini, Anusara, Hatha, Ashtanga, there are so many options. Do you practice a few styles? If so, pick one that you are comfortable practicing for a week. Are you are trying to deepen a particular aspect of your practice? Find a retreat that will focus on breathing, meditations, chants, whatever it is that you want to work on, and go from there. If the style and focus is right, the rest will follow. Do you have a favorite yoga teacher or a teacher that you have been following? If so, check out his or her website first, see if they are hosting a retreat anytime soon in Bali. While it is always nice to step out of your comfort zone during a yoga retreat, picking a retreat with an teacher whom you are already familiar with will assure you that the money you be spending will be worth it. More than likely you will already know what to expect from this teacher and his or her student following. If you don’t already have a favorite teacher, after you pick your style of yoga, do some research on the teachers who have been trained in that particular style of practice, see whose philosophies you most agree with and go from there. You are going to be spending a fair amount of money and your time on this person, it is important that you get the most out of it. Obviously you are are already going to Bali, but did you know that Bali is over 2,000 square miles? I didn’t until I arrived last year. The island is huge! Are you interested in being in an area that is close to where all the action is so that after or before the retreat you can check out the main sights? Seminyak or Kuta is probably where you will want to find a retreat! However, maybe you wish to focus on yoga even before the retreat begins and you love to shop, Ubud, will be where it is at for you. Are you more of an outdoors, in the mountains, one with nature yogi? If so, Tabanan or Mount Batukaru are the spots for you! 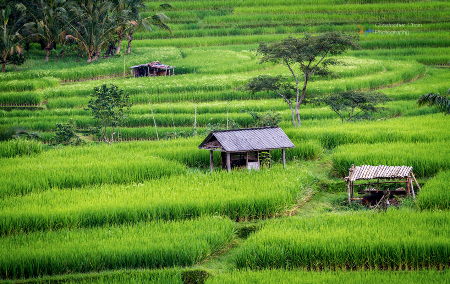 Does the idea of rice paddies and an unpretentious lifestyle just bring the look of bliss to your face? If so, North Bali is where its at! This is always a big one. Your budget usually dictates a great deal, and often should be one of the first things that you consider when picking a yoga retreat. You don’t want to stress about money for the six months following your retreat. That would defeat the whole purpose of going on a retreat and destressing your life. However, if you have a little money to work with on the retreat, great! Many retreats start around $2,000 depending on the number of days, what is included and who the teacher(s) are. When you are looking at your budget and what you hope to gain from the retreat, make sure that you read all about it. Are you a vegetarian? Do you need your own room? Do you want cultural activities included as part of your retreat? Do you want to surf, hike, have the option of exploring the towns as part of your retreat? Do you need a pick up from the Denpasar airport or can you manage this on your own? These are just some of the questions you should ask yourself as you begin narrowing down your retreat options. Ask questions of the retreat host. Also, if you are booking a last minute retreat, there may be ways to get discounts of up to 15% for booking spur of the moment. Personally, I would not suggest making this a habit as it is always good to do your research about the retreat. However, if you are not a picky yogi or just willing to try something new, have at it! I mentioned it earlier, if you are a vegetarian, vegan, dairy or gluten free? You might want to pay attention closely to the food that is being served. More often than not, the food will be friendly to a wide variety of people and usually they will have the options for your dietary needs, but always make sure. You do not want to show up and not have a variety of food options, like the rest of the people on the retreat. You should always ask what kind of food will they be serving. Is it organic? Healthy? Locally grown and in season? These are all important questions to ask, especially if you are trying to going to go the sustainable route. Are you interested in doing a cleanse? Perhaps they are offering one as part of the retreat. Find out before you commit. Most retreats in Bali offer two yoga sessions a day mixed in with hiking, scuba diving, paddle boarding, cooking classes, surfing or biking. Bali offers so many wonderful options in addition to yoga. Find out what what is included, if anything, and figure out what you feel like doing. Do you have your SSI or PADI certification? Great, you can go diving! But if you don’t, you might want to pick a retreat that focuses on another activity. Maybe healthy cooking classes or biking is what you feel like participating in. Figure out what you are into and go from there!